I am new, Don't judge! 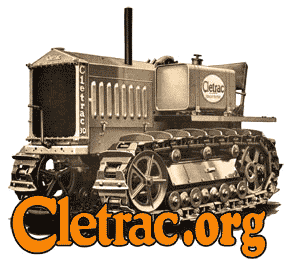 Cletrac.org > Welcome & Rules - Please read before posting > New members introduce yourselves here > I am new, Don't judge! My name is T. A. Scott. I collect antique gas engines and small tractors. At tractor shows I am mainly running my gas engines and steam tractors. I just started at PVH&M Railroad as a locomotive Fireman. I own 1 cletrac that I bought from a junk yard for $500. I have many other tractors, mainly Allis Chalmers. I am from South Dakota, and we do not see a lot of crawlers here. My family was big time Oliver until my Uncle died and now we only have a 1855 and a 1655. I hope to learn a lot here. Re: I am new, Don't judge!